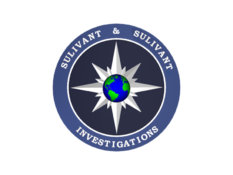 | Sulivant & Sulivant Investigations - Serves the entire State of Oklahoma. Oklahoma Judicial Process Servers has outstanding Oklahoma process servers, private investigators, bodyguards, mobile notaries, document retrieval specialists, security guards, polygraph examiners, bail bonds, notary public services, and expert witnesses! We serve clients in Oklahoma, in other states, and even throughout the world. We offer outstanding customer service and very competitive rates! Please contact us today at (405) 593-3515 or e-mail us at [| OklahomaProcessServers@Yahoo.com]. You may also view us on YouTube at | www.YouTube.com/user/OKProcessservers. We are also on Facebook at | www.Facebook.com/OklahomaJudicialProcessServers.com. Why wait? Please contact us today at | www.OklahomaJudicialProcessServers.com! This page was last edited on 26 June 2018, at 21:26.